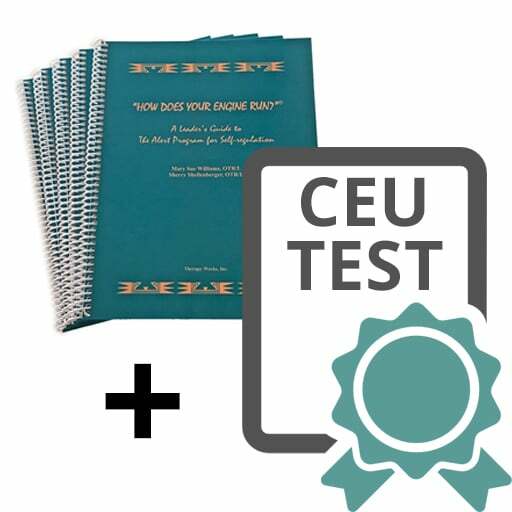 After reading the Introductory Booklet, take this CEU Test to earn 1.0 contact hours. You will receive your receipt via email with a link to your test instructions. Then your booklet will be shipped out so you will receive it shortly. Simply read the booklet and send your completed test to us. By email, you will either receive your Certificate of Completion or an invitation to take the test again (at no extra cost). Earn: 1.0 contact hours (0.1 AOTA CEUs or 1.25 NBCOT PDUs). Note: Due to variations in state licensure laws, TherapyWorks, Inc. encourages you to verify that the courses listed here meet your individual state requirements for continuing education for your profession. 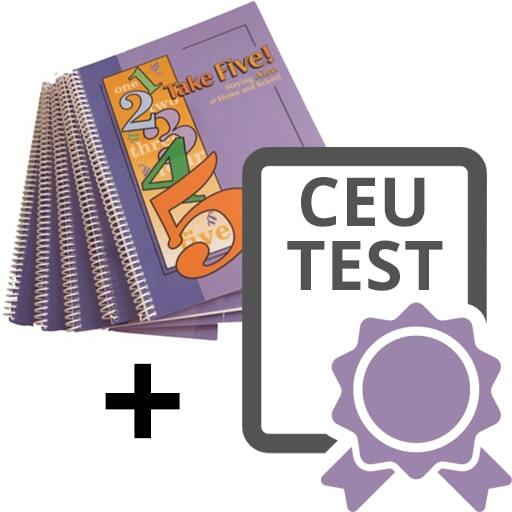 Who is the CEU Test designed for? This self-study CEU test is intended for a variety of professionals including OTs, PTs, SLPs, teachers, counselors, and parents. All who read the Introductory Booklet will glean new information about how to support self-regulation with ease in classroom, home, and therapy settings. 1) Define the Alert Program®’s three levels of alertness that affect learning, attention, and behavior. 2) Recognize at least three sensorimotor preferences that affect self-regulation. 3) Identify the Alert Program®’s three stages of teaching self-regulation. 4) Choose activities to support self-regulation and learning for home, school, and therapy settings. *TherapyWorks, Inc. is an AOTA Approved Provider. The assignment of AOTA CEUs does not imply endorsement of specific course content, products, or clinical procedures by AOTA. 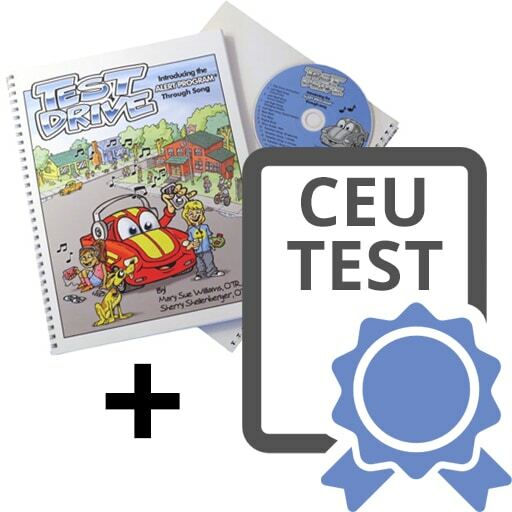 How does this self-study CEU Test work? 1. 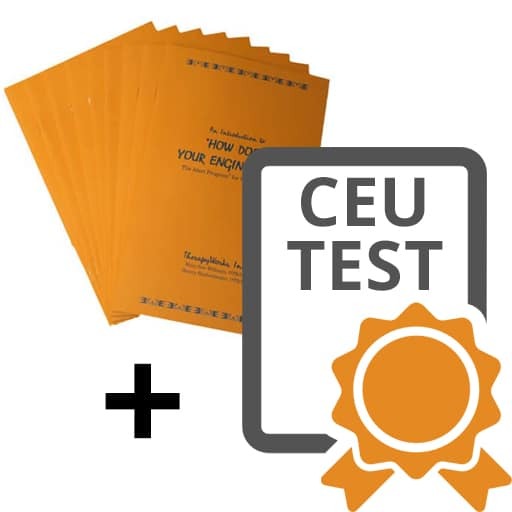 Once you purchase this CEU Test, you’ll receive an email with a PDF file of test instructions, Introductory Booklet CEU final exam, registration sheet and answer sheet. 2. Just to clarify, you will need to purchase a copy of the required text, the Introductory Booklet book, if you don’t already have it. 4. A score of 70% or better on this multiple-choice test will be required to receive a Certificate of Completion. Successful completion is a minimum of 7 of 10 correct answers on the written test. You can repeat the test until you are successful (no additional charge). 5. You will be notified of your test results by email and issued either a Certificate of Completion for 1.0 contact hours (0.1 AOTA CEUs or 1.25 NBCOT PDUs) or an invitation to re-take the test again at no extra charge to you. Once TherapyWorks, Inc. receives your test, we will email you within two weeks. Note: TherapyWorks, Inc. cannot be responsible for the effects of individual email security settings and spam filters. We recommend that you add the following email address manager@AlertProgram.com to your address book to help allow your receipt of any communications about your written CEU Test. This 10 item multiple-choice test will confirm the knowledge that you’ve gained by reading the required text, Introductory Booklet. Since you already have a copy of this book, you can start your continuing education immediately. Mary Sue Williams, OTR/L and Sherry Shellenberger, OTR/L, have lectured extensively across the country and internationally since 1991. As co-owners of TherapyWorks, Inc., they have published numerous books, CDs, and games related to the Alert Program®. Mary Sue and Sherry continue to develop practical ways to teach people of all ages how to incorporate sensory integration and sensory processing theory into everyday living. In 2003, they were honored to receive the American Occupational Therapy Association’s Recognition of Achievement Award for “Excellence in Intervention Development and Dissemination” for outstanding contributions to our field. This written CEU Test is non-refundable.